To avoid damaging the heritage status of the exterior, buildings with solid or load-bearing masonry walls often use interior insulation retrofit strategies — however, this can lead to problems if certain aspects are not taken into consideration. By David De Rose, M.A.Sc., P.Eng., BSSO, and Nastassja Pearson, M.A.Sc., P.Eng. Many buildings with solid or load-bearing masonry walls employ interior insulation retrofit strategies as heritage significance precludes work from the exterior. However, adding insulation on the interior side of these solid walls may result in accelerated masonry freeze-thaw deterioration in addition to embedded metal corrosion (of lateral ties and supporting angles/structure) or wood joist rot. This article looks at how to determine a suitable path forward. various types of failure and unserviceability that are to be avoided [and then keeping] the probability of reaching a limit state below a certain value previously established for a given type of structure. For example, when designing a structural element, a design professional may calculate a combination of factored, expected loads a structural element may need to support. Candidate structural members are then selected based on their resistance. Material resistance is often factored depending on the expected variability for that material type. Overall, the factored resistance must be greater than the factored load to avoid reaching a limit state (with an inherent safety factor). When experiencing frost damage, water within the pores of clay brick expands. At a certain moisture content, there is no longer space within the pore structure to accommodate the expanding freezing water, leading to deformation. This moisture content is termed the ‘critical degree of saturation’ (Scrit). If a brittle, porous material is wetted at or beyond this point, every damaging freeze-thaw cycle will cause irreversible, cumulative expansion. The Scrit can be identified by frost dilatometry—a technique measuring strain induced by frost damage at various degrees of material saturation. A brick or stone unit is at low risk of freeze-thaw damage if its Scrit is greater than its free water saturation (wf). Free water saturation is the amount of water a material absorbs when fully immersed in water for 24 hours—the maximum saturation co-efficient defined in ASTM C62, Standard Specification for Building Brick (Solid Masonry Units Made From Clay or Shale). At the free water saturation level, there may still be vacant pore space within the masonry—however, these pores will not take in more water under natural conditions. Maximum saturation is when 100 per cent of the pore space is filled. To achieve this, a vacuum must be used to draw all the air out of the sample. In addition to freeze-thaw, the other threat is the risk of embedded metal corrosion or wood rot. The corrosion threshold is termed the ‘time of wetness’—the point where metal is exposed to conditions greater than 0 C (32 F) and 80 per cent relative humidity (RH). Wood rot typically occurs at 28 per cent moisture by weight, or around equilibrium with 95 per cent RH. Insulating masonry walls from the interior can change the wall’s micro-climate and expose embedded materials to these conditions. Hygrothermal modelling (e.g. with WUFI) of the existing and retrofitted wall assembly can be completed to compare the expected environmental conditions within the wall assemblies. The time over a year that the embedded metal or wood is above the selected threshold is compared between the existing and retrofitted assemblies. To facilitate the analysis, a combined threshold is typically used (i.e. time greater than 5 C [41 F] and 85 per cent RH) as this is more conservative for wood rot, and since deterioration rates are expected to be very slow closer to freezing conditions. To see how these analyses can come into play for an actual project, recent work in the Ottawa area provides an illustrative example. A three-storey historic stone masonry building constructed in stages between the early 1900s and mid 1920s was being renovated into museum space. 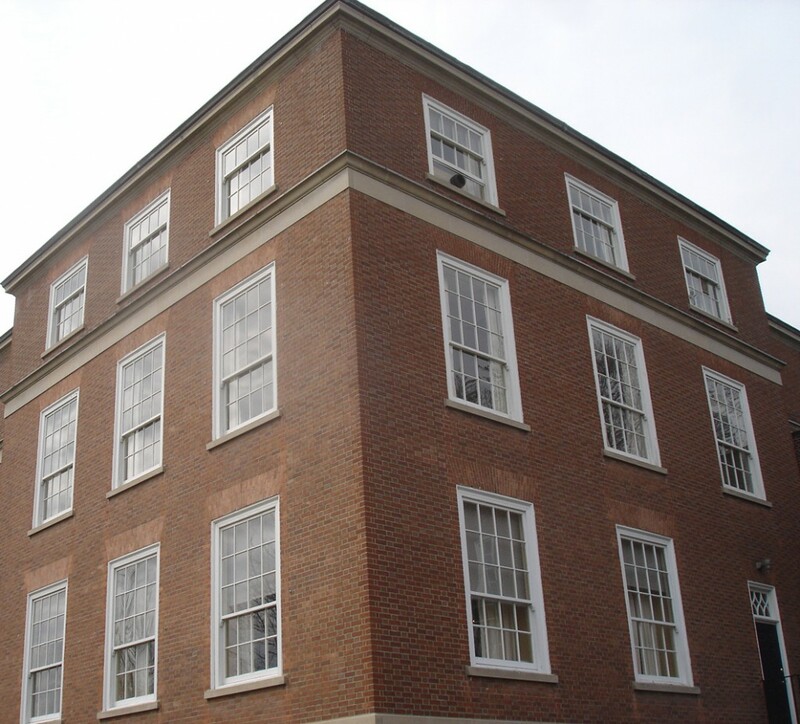 In addition to the stone masonry walls, decorative elements include window and door surrounds, lintels, quoins, and copings, as well as an exposed foundation and plinth course. The building was to be renovated prior to the new owner’s occupancy, and interior insulation of the exterior walls was under consideration. The new wall construction would add 75 mm (3 in.) of medium-density closed-cell sprayed polyurethane foam (SPF) insulation, an air space, drywall, and interior finishes. Portions of the building’s structural system consists of arched terra-cotta floors with a concrete topping supported by steel framing members that bear on the exterior masonry walls. The ends of these beams and girders are embedded within the wall assembly. (There are no structural wood members in this facility.) In other areas, the structural system consists of concrete floor slabs spanning between concrete-encased steel beams and girders, which are supported by steel columns embedded within the exterior masonry walls. The masonry walls are not load-bearing in these areas. Frost dilatometry was used to determine if the proposed retrofit would increase the risk of freeze-thaw in the stone units, and hygrothermal modelling was employed to assess the risk of embedded metal corrosion. The test values for the free water saturation and critical degree of saturation for all types of stone used in the building façade demonstrated wf was considerably less than Scrit. Typical values of wf for the brick were 15.5 kg/m3 (30 per cent maximum [vacuum] saturation), whereas Scrit was 2.5 times greater, at 40 kg/m3 (80 per cent maximum saturation). A typical plot of Scrit results for a stone unit is shown at left. The frost dilatometry test results indicated the stone is at almost no risk of freeze-thaw deterioration. This was consistent with the generally good stone condition observed at the building. Further, hygrothermal modelling predicted the moisture levels in the backup materials in the wall assembly would not exceed the estimated critical degree of saturation. (Testing was not completed to establish the actual properties for the backup materials; similar materials from the program’s database were assumed). Hygrothermal modelling was employed to estimate the increased risk for embedded metal corrosion from insulating the walls. As a result of being located within a section of the masonry walls exposed to rain wetting, the existing structural steel elements are already at risk for corroding. In addition to weakening of the steel elements, expansion from corrosion risks may cause damage to stone masonry units. Embedded metal in the wall assembly consisted of a mix of steel lintels and beams bearing on the walls, and lintels and columns embedded within the walls. The model predicted no change to the risk of corrosion for the outermost embedded metal. However, the model indicated insulating the walls would result in the innermost portion of the steel elements being above the corrosion threshold between 10 and 30 per cent of the year. Although insulating the walls is expected to increase corrosion risk at the innermost steel, all beams, columns, and lintels exposed for review were found to be in good condition with only surface corrosion observed. A doubling of a slow corrosion rate would still result in a slow corrosion rate. Strategies to provide additional corrosion protection were still presented to the client. A longer version of this article was prepared for the 2014 Canadian Conference on Building Science and Technology Conference and included additional authors, Peter Mensinga, M.A.Sc., P.Eng., and John F. Straube, Ph.D., P.Eng. 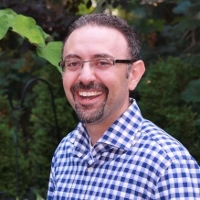 David De Rose, M.A.Sc., P.Eng., BSSO, is a principal with Synergy Partners. He has worked on more than 500 projects over a 17-year career in building renewal and enclosure design. He can be reached at dderose@Synergypartners.ca. 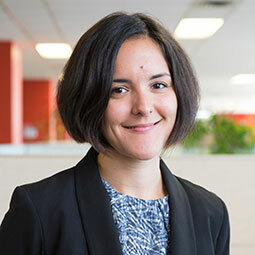 Nastassja Pearson, M.A.Sc., P.Eng, is a project manager with Halsall Associates, and has 10 years of experience with building enclosure and repair/renewal projects. She can be reached at npearson@halsall.com.